Happy Monday. 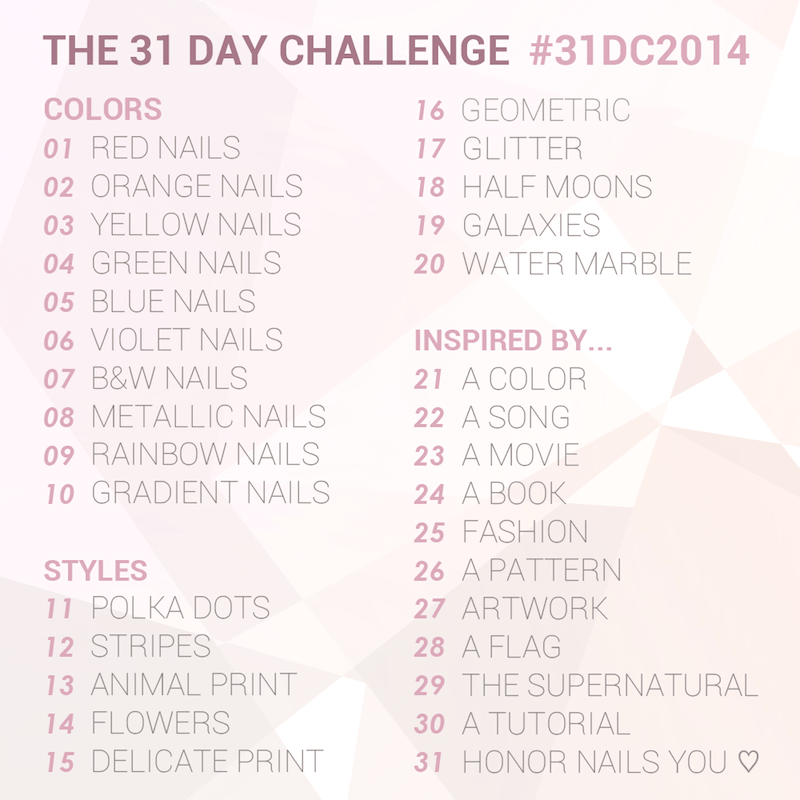 It’s a whole new week of non stop nail art. It’s also half way through September. How did that happen? For me, delicate print means stamping. There just isn’t anything I can do that is more delicate than stamping. So I went pretty simple and something that has been done many times BUT I have not done it before. I used 2 coats of Essence – Go bold and when that was completely dry I stamped using Pueen27 and Essence staampy polish in white. Topcoat and done. Super simple and easy but I really love how it turned out. 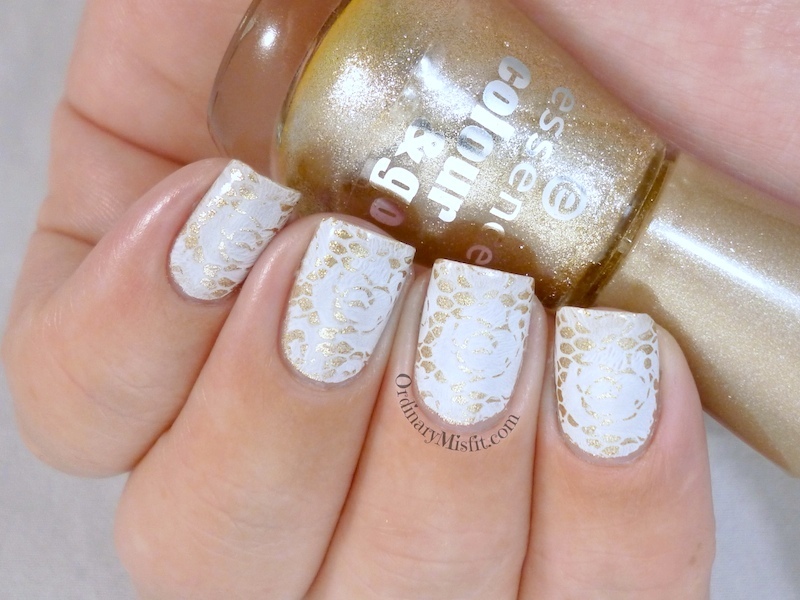 I like how the shimmery gold shines through the white stamping. I also chose white to stamp the lace pattern over the gold because it seemed to be a bit more delicate. Let me show you the gold polish. This is 2 coats with no topcoat. It is a white toned gold foil. It is quite sheer on the first coat but builds up really well on the second. Really nice formula and dries super smooth. So that’s about it for delicate stamping. I hope it isn’t a disappointment. What do you think? I think you picked the perfect stamp!